Juicer come in different shapes and prices. We’re here to help guide you to selecting the best Juicer for you according to your needs. Last Update January 12th, 2019 First of all, a juicer is not a blender. It’s a tool to extract juice from fruits, herbs, leafy greens and some vegetables. Juicers crushes, grinds or squeezes the juice out of the pulp. So, why there are lots of juicer type and which one should you buy. Some juicer can produce better nutrition value compared to others by the quality of juice, some can extract more, that doesn’t mean the juice is not good compared to others. It’s always thousand times better than drinking Junk Drink. The juicer is not some miraculous kitchen appliance that change your life but which is gonna change your life is to eat more fresh fruits and vegetables which juicers allow you to do it easily. Most people keep fruits, vegetable salads aside. They eat steak, potato, rice, hamburgers, chickens first and never eats their vegetables. People are eating a lot, gaining weight by adding calories but they are not getting vitamins, minerals in food. But with a juicer, you can maximize your most valuable Nutrition’s foods on earth. Check Juicer Buying Guide before choosing your new juicer. The Omega NC900/NC800 is a Masticating juicer and is the best of its kind. Cleaning Easy, < 5 min. Best for Leafy Greens, Vegetables, Fruits, Wheatgrass etc.. Number one Centrifugal juicer, make juice in seconds. Less preparation time. Cleaning Medium, 5 – 10 min. This is one of the best selling juicer and its slow masticating juicer, with good price. Cleaning Easy Less then 5 min. Its a great slow juicer with great price and its do its job well but you need to know how to juice with slow juicer. 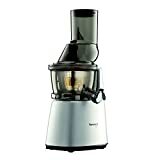 Breville’s second best fast juicer with less powered motor but works like a charm, Dont have time for juicing use this for fast juicing. Cleaning Medium Less then 5 min. Breville’s third best fast juicer. Fast juicer for fast people. Omega’s best Vertical Slow Juicer. Great Juicer of its kind. Cleaning Medium Less then 10 min. A great Vertical Slow Juicer from Tribest. A great Wide Mouth Vertical Slow Juicer from Kuvings. Rolls Royce model of twin gear Slow juicer. One of the best Triturating juicer within its kind’s. There are mainly two type of juicer machines in terms of technology they use, Main two type of juicers are Centrifugal Juicer and Cold Press Juicer or Slow Juicer A.K.A. Masticating Juicer. This type of juicer uses its tiny teeth to grind the vegetables or fruits rapidly in a spinning basket. After the grinding process, the juice passes through a fine mesh sieve and it’s then ready to take if you don’t want it refrigerated. The centrifugal juicers is the perfect machine for juicing hard fruits and vegetables such as carrot, date, and high fiber leafy green. It is a lightweight juicer, user-friendly and very easy to clean after use with the use of dishwater. The centrifugal juicers are speedy in operation and it turns out to be the perfect juicer for those who are just getting into juicing. Another word for masticating is chewing. Therefore, this means the juicer operates by chewing the vegetables and fruits with the use of augers with sharp metal teeth. The masticating juicers are efficient in juicing soft greens such as wheatgrass, spinach and it takes time to produce juice. It is slow in operation but its proficiency is high and it doesn’t make noise when in use. There are different types you will find in the market but you can hope over to read my masticating juicers review. Is this post for beginners alone? No! This post is for those looking for a way to improve their health by incorporating juice into their daily diet with the use of a juicer machine. Therefore, I’ll demystify the important things you should consider before buying a juicer machine. Are you faced with arrays of choices to make and confused on the next move to take? This factors to consider will help your decision-making. This is the very first thing to consider as this determines the type of juicer you should opt for. 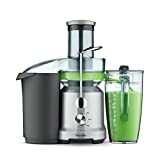 If you are of the type that loves to make juice from soft leafy green or fruits like me, I’ll suggest you go for the masticating juicer and if otherwise, in which you love juicing from hard vegetables, the centrifugal juicers is the perfect deal for you. The juicer you are about to get must suit your lifestyle in terms of its performance. Masticating juicers are very easy to use, slow and quiet while in use but the centrifugal juicers are fast and loud and the sound can affect or disturb other household members. 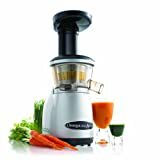 The centrifugal juicers is the ideal machine for those who need to make their juice fresh and fast such as apples and carrots while the masticating juicers are great for those juicing soft fruits like strawberries, oranges and grapes. Juicers are very easy to set up and use but one important part you need to give close attention to is the maintenance. Most of the juicer machines come’s with an instructional guideline on how to set up. This will definitely help you in setting your juicer up. Also, the cleaning might be difficult to do and this is why you should opt for the models that have a specialized brush which makes cleaning easier to do, mostly all juicer comes with cleaning brush. Masticating juicers are easy to clean. It’s always little hard to clean the juicing screen for all juicers. You need to consider the size of the juicer and the space you have in your kitchen before making any purchase. You must have a solid plan on where to store your juicers and how you can easily have access to it. The masticating juicers tend to be bulky and heavy which means it won’t be easier for you to move around. If you are getting a masticating juicer machine, you must ensure it has a permanent place you want to position it. The centrifugal juicers is a lightweight machine and can be moved from one place to another. Just ensure whichever product you get can handle the volume of juice you intend to make and it fits perfectly in your kitchen. The price of juicer machines varies from high models to low models. Quality products don’t come cheap and the amount you are willing to pay will determine the quality of the juicer you get. You don’t have to break the bank because you want to get a juicer to meet your juicing need and this is why I’ve made the list of the best juices that are affordable with my focus on their features and performance rate. Take note, expensive juicer machines often come with a great warranty to ensure you have quality years of juicing. Without a doubt, it is quite known to juice fans and enthusiast that the best juicer machine needed to get the best extraction of juice from their favorite fruits and vegetables is the masticating juicer machine. Although this juicer works slowly and might not be considered by those who love to get their juice very fast, because it is efficient in extracting all the nutrients from the fruits and vegetables compared to centrifugal juicer makes it the best to juicer machine to go for. Omega NC900 is a 6th generational nutrition center juicer that incorporates no significant improvements to NC800. It is one of the juicers to consider if you are in the search for a stylish yet efficient juicer machine that produces the highest yield and juice qualities you best deserved. The Omega NC900 is a masticating juicer with a single auger that has a broader feed chute of about 2 inches by 1.5 inch which makes the juicer machine more comfortable to use for more extensive production of juice. However, this will just take some time because it has a slow operating system to extract all nutrients from the fruits and vegetables. Furthermore, this masticating juicer has five different adjustable settings that enhance the output of the juice, a bigger cup for the collection of the juice and pulp and it runs at 80 RPM which therefore reduces heat buildup and juice oxidation. Also, the uniqueness of the Omega NC900 masticating juicer is the ability to use the two-stage system with just a single auger. The first method requires crushing the fruits and vegetables by reducing them to a pulp, while the second requires compressing the pulp that has been crushed to extract the juice from it. The juicer machine doesn’t make noise while in use and it is the perfect juicer machine to use for fruits and vegetables such as kale, wheatgrass, and spinach and also, to chop some herbs and seasonings. It is very easy to assemble and disassemble to wash and store clean. 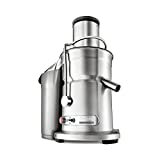 Breville 800JEXL Juice Fountain Elite 1000-Watt Juice Extractor is the perfect juicer for those in the hunt for a commercial centrifugal juicer to meet their juicing need. 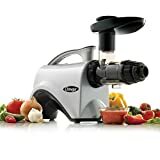 This juicer machine is built with durable and lasting die-cast steel with a micromesh filter that is made of stainless steel and also with a cutting disk that is has a titanium plate. The juicer machine has 3-inch chute which means you can save yourself the stress of slicing or cutting the fruits or vegetables in the juicer. All that is to do is to put the fruit or vegetables in the juicer machine and let it do the rest of the work. This has two distinct speed operation, and each gives the platform to get all the nutrients from your fruit or vegetable. The speed system is referred to as low speed and high speed. The higher speed setting of the juicer is used for juicing harder fruits and vegetables while the low speed is used for juicing fruits and vegetable that have a lot of water in them. It can be used as commercial centrifugal juicer machine, and so it does make noise while in use, it is very easy to use for anyone, very easy to clean and reassembled for proper storage. Omega J8006 is an ultimate masticating juicer that doesn’t have heat buildup which results in juice oxidation. It is one of the best juicer machines out there you can opt for. It has a good performance rate with its ability to extract all nutrients from the fruits and vegetables. This also has dual-stage juicing settings just like the NC900. It has low speed and high-speed settings to get the best out of the fruit or vegetables. This setting ensures that you have a quiet operation and the juice doesn’t undergo oxidation. If in need of a juicer machine to extract more enzymes and vitamins then Omega J8006 is one to consider. It operates at 80 RPM which means it doesn’t heat up while in operation. 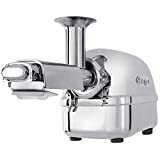 Omega J8006 has 1/1/2 inches feed chute which is very small to give a high yield compared to Breville 800JEXL Juice Fountain Elite 1000-Watt Juice Extractor which has 3-inch feed chute. 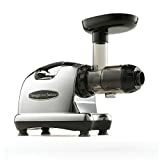 However, the Omega J8006 works more than just a juicer as it can be used to grind coffee beans, nut butter, and also to mince and chop foods. It is very easy as well to clean and maintain after use. This is one of the hottest juicers to consider because of its solid design as it is a perfect juicer machine for fibrous vegetables such as ginger, leafy greens, berries, celery, and apples. This is a masticating juicer as it works very slowly to extract all the nutrients from the fruits or vegetables. 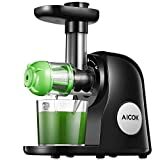 The Aicok Slow Masticating Juicer has just a single auger which is why it is slow, and it doesn’t heat up while working which prevents the oxidation of the fruits and vegetables. The masticating juicer has a continuous pulp ejection mechanism which means the pulp from the fruits will go straight to the bin, It has a reverse function which means on the off chance that the machine gets clogged due to the overloading of the juicer, you can simply press R button and the juicer will go into the reverse mode to prevent clogging. The juicer machine is very easy to use, the auger is made of non-toxic, PPMA and environmentally friendly materials which makes it so easy to clean and store properly after use. If you are searching for a premium slow masticating juicer machine for the optimum juice of your favorite vegetables and fruits in which you don’t want to lose any nutrient compared to centrifugal juicers, then NUTRIHOME Masticating Juicer is the right juicer to consider. The NUTRIHOME Masticating Juicer comes with a slow operating system of about 80 RPM which means it is a slow speed juicer with low oxidation and it doesn’t heat up. The juicer machine has high yield production of fruits of about 50% higher than centrifugal juicer that will lose some nutrient during juicing. It has a quality auger and it is very easy to use for anyone. With its 12 month warranty, you can return to get a new one if you don’t like its operation. Juicing is another way to get a healthy lifestyle, and you need one of the best juicers to do that. Above are some of the best masticating juicer you can opt for to meet your juicing need. The juicer is the kitchen equipment that helps you get 100% pure and nutrient-rich fruit and vegetable juice. Best Juicer offers the opportunity to enjoy a wide variety of natural products. Here are some notable brands that make the best juicer. In 2009, Omega was acquired by the Legacy Companies. The Legacy Companies was founded in 1998. Thanks to its unparalleled qualities and performance, the Omega range has quickly become a reference. It is the favorite of the most demanding consumers. Aicok is a start-up founded in 2015. Indeed, the brand offers decorative devices, functional and at a reduced price. It is the fruit of the collaboration of friends working at Google in the United States. As far as Aicok juice extractors are concerned, consumers will have an intuitive and ergonomic device in front of them. The juice extracted from the device is highly satisfying: a liquid juice, rich and tasty instead of thick paste produced by low-end extractors. Tribest is a company created in 1988 that provides quality appliances for the kitchen and home. Their juicer makes high quality of juice. Note that consumers may be equipped with a Tribest pasta kit to change the machine into a fresh-cut machine or the tofu kit to transform soy milk into tofu. If you are looking for cheap juicer you can check this Juicer under $100 review article.